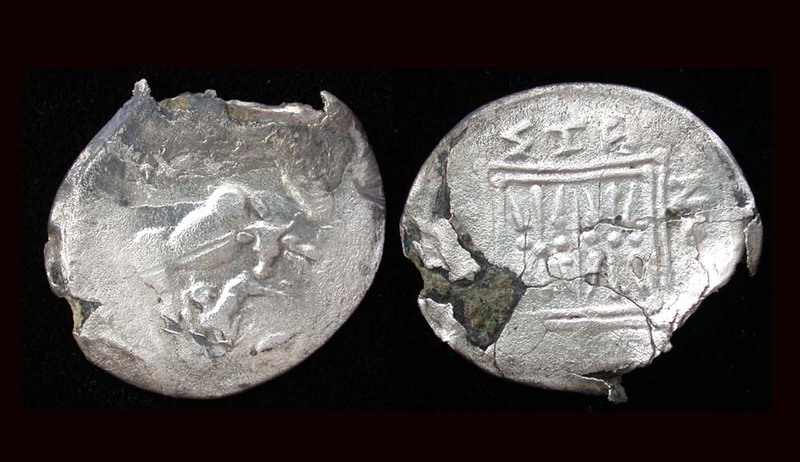 Silver alloy over copper alloy; 19mm/2.2gm Struck c. 200-30 BC? Con/ VF for the forgery; basically blown up. Seller's Note/ Such ancient forgeries are nothing new. In pre-Columbian mesoamerica, archeologists have discovered cacao beans, the common currency of the Aztecs and Maya, that were hollowed out and filled with clay. Ours is an excellent and collectable example of an Dyrrhachium, Illyria, drachm forgery..